Home free modem unlock (data-card) MODEM UNLOCK Huawei e303 d unlock, Dont get cheated. Huawei e303 d unlock, Dont get cheated. 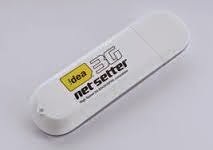 Idea introduces new netsetter huawei e303d. There has been many inquiries in the comments section of various modem unlocking posts, requesting the unlocking technique for huawei e303 d latest idea netsetter modem. So far there is no unlocking solution available to unlock huawei e303d idea netsetter. I ma writing this post as many are unaware of this and many have lost money trying to get it unlocked from spamming websites. The case of e 1732 and e1550 idea netsetter was also the same. But after waiting for a while we were able to publish the hundred percent working unlock trick for both e 1732 and e 1550 netsetter. So you be aware not to send money to any one before he unlocks the modem for you. The best thing you can do is wait a little bit more till the unlocking solution for e303d idea netsetter is freely posted on websites like freetrics. So dont get cheated. keep visiting us or subscribe for updates on latest unlocking techniques and tricks. Thanks for reading us and stay subscribed with us for further updates on similar topics. Congratulations Rishi sharma Thank you for your comments!